and let her chirping for joy. Pot-tori is an adjective which expresses plumpness and attractiveness. It figures the beauty of a girl in this block. 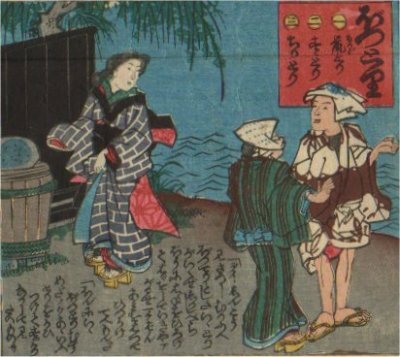 The conditions of a beautiful girl at Edo era were: light makeup to feature bare skin, smart wearing of the new fashion, beautiful face, slim waist.